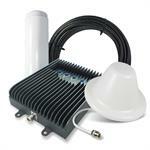 SureCall Fusion5 SC-PolyH/O-72-YD-Kit is a cellular booster solution that’s ideal for home and office for use where reception is weak due to distance from towers, the topography, building materials or structural design. 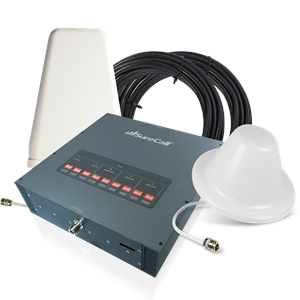 Built to combine PCS and Cellular dual bands with both LTE and AWS frequencies for Verizon, AT&T and T-Mobile voice and data reception solution. This competitively priced booster covers an area of up to 6,000 square feet (unobstructed area), 5 to 10 simultaneous users and is configurable for all indoor environments. Standard Supported: CDMA, WCDMA, GSM, EDGE, HSPA+, EVDO, LTE, etc.